Taylored Expressions Last Card Standing Top 10! 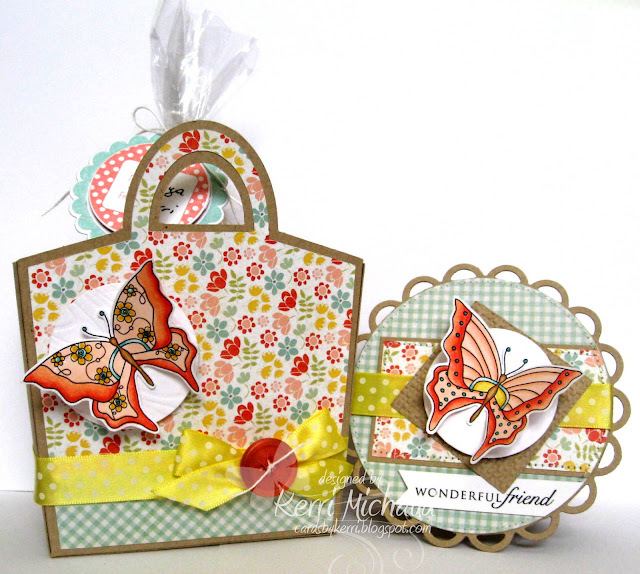 I used the beautiful TE Digital Butterfly images along with the TE Totally Tags Holiday Set and Totally Tags Dies. The gift bag is from My Time Made Easy called Tricky Treat Tote, and the layout for my circle card is Mojo Monday 260. The dp is My Mind's Eye The Sweetest Thing Tangerine. I hope to get started on my cards for the next round later today so wish me luck! Well, I need to go be a teacher for a little while, so thank you so much for stopping by and have a wonderful day!